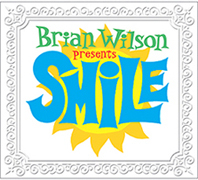 Note: Now that SMiLE has finally been released, we decided to feature a a handy-dandy how-to guide for those journalists who wish to write a review of Brian Wilson's SMiLE album (since some journalists who often don't seem to have a clue). There are enough entries here for any journalist to complile a SMiLE review in just a few minutes! Contributions to this list comes to us courtesy of some of the regulars at The SMiLE Shop. So, sit back and have some fun comparing our list to the various SMiLE reviews that are out there! 1. Include a "smile" pun in the title. 2. Don't forget "teenage symphony to god"! And write it like you're the first person to discover that quote. Write it with EMPHASIS. 3. Use the phrase "fun in the sun" at least once, whether or not it's appropriate. 4. Be sure to devote 1/2 the review for the history leading up to SMiLE, look for your SoS press kit for that one. 5. State that Brian tried to burn the "Fire" tapes. 6. State that the reason SMiLE was shelved was because Brian heard Sgt. Pepper. 7. Use the words" tortured genius" at least three times. And by all means, emphasize that Brian "lost his mind", "went crazy", or "had a nervous breakdown" (or even "several nervous breakdowns!!!") before shelving the project in '67. 8. No Brian Wilson review would be complete w/o mention of the fact that Brian's father "Murry beat him relentlessly driving him to his room!" 9. Make sure to prominently highlight the sandbox in the living room legend. 10. Don't fact check -- and mention that Brian was "400 lbs" or "living in his bedroom" or something during Smile. 11. Be sure to mention that most of the songs have been already been released. 12. Mention Mike Love and the infamous argument about "what does this mean? 'Over and over the crow cries uncover the cornfield'?" 13. Mention the fact that Dennis and Carl approved and Al and Mike were against it. Or is it the other way around? Or were all of them against it? Pick and choose your favorite. These individuals MUST, at least once, be referred to as: "Brian's brothers Carl and Dennis, cousin Mike Love, and family friend Al Jardine." 14. Mention various past Brian quotes such as "inappropriate music" or "It'll never come out". 15. Mention how great the 60s recordings are, but get your facts wrong in some way to prove you haven't REALLY listened to them. 16. A requirement: You MUST call Brian's band "The Wondermints." 17. You MUST repeat the quote from Brian that says "My wife and manager thought it would be a good idea." 18. Darian MUST be referred to as a musical secretary. 19. Mention you think Van Dyke's lyrics are pretentious and "miss the mark more often than not." 20. Mention Brian's voice being "ravaged" or some other over-dramatic thing. Bonus points if you use the phrase "angel" or "choir" or something in there. 21. Call into question the legitimacy of the recording before giving it a very shallow, vague endorsement anyway. 22. Be sure to omit the history behind these initial releases and also DO NOT mention any differences in arrangement and content!!! 23. Indignantly comment on Brian writing a "new" 2004 "Good Vibrations". 24. Complain about how obtuse and esoteric the Van Dyke Parks' lyrics are and how the average consumer will be confused"! 25. Be sure to call it "emotionally uninvolving" after skipping the second movement. By all means, dismiss it because the Beach Boys are not featured. 26. Now, after all this, somehow (in 2 lines or less) justify giving it 4/5! 27. In your last sentence include a "God only knows" pun.